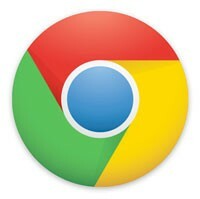 Google revels in hacking contests as ways of testing Chrome's worth. Even if the browser is compromised, the failure provides a shot at fixing an exploit under much safer circumstances than an in-the-wild attack. No better example exists than the results of Google's Pwnium 2 challenge in Malaysia: the company has already patched vulnerabilities found in the contest that surround SVG images and IPC (inter-process communication) before they become real problems. Staying one step ahead of truly malicious hackers carries a price, however. Pwnium 2 winner Pinkie Pie -- yes, Pinkie Pie -- is being paid $60,000 in prize money for catching the exploits. That may be a small price to pay if it reassures a few more Internet Explorer users looking to hop the fence. Google patches SVG and IPC exploits in Chrome, discoverer banks $60,000 in the process originally appeared on Engadget on Thu, 11 Oct 2012 09:31:00 EDT. Please see our terms for use of feeds.